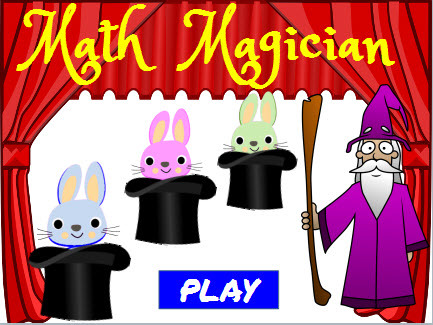 Play this fun online Math Magician Rounding Game by matching these rounding problems with the correct answers. The problems are to the nearest ten and hundred. Drag and drop the bunny into the correct basket to make it disappear and score points to win. You are only allowed a small amount of time to answer as many rounding problems as you can. The game can be played on computers, iPads, and other tablets. You do not need to install an app to play this game on the iPad. Return from this Math Magician Rounding Game to the Elementary Math Games webpage, or to Math Play.